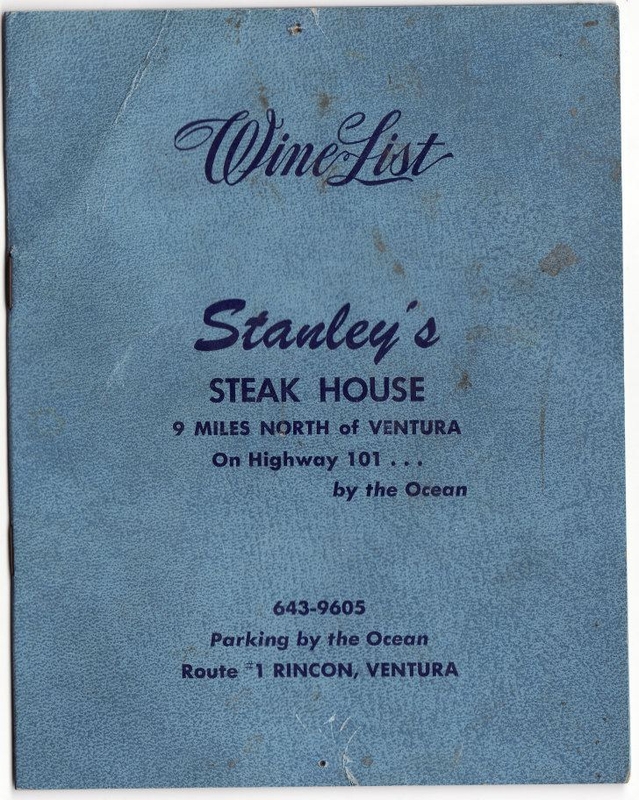 Stanley's Diner sat on old PCH highway 1, 10 miles north of the city of Ventura California. 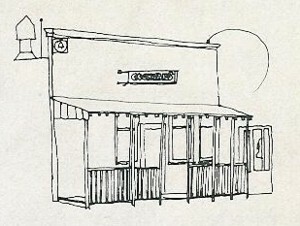 The Diner was founded in the mid 40's by the Barber brothers Mervil and Stanley. "Stanley" was the bartender while his brother cooked the Steaks. 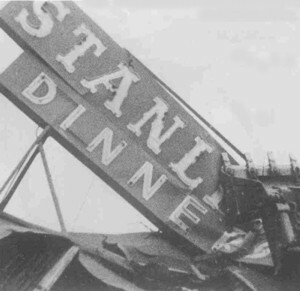 Stanley abandoned the venture leaving brother Mervil to operate the Diner. Mervil was surfer friendly often letting surf contest organizers use electricity for pa systems. 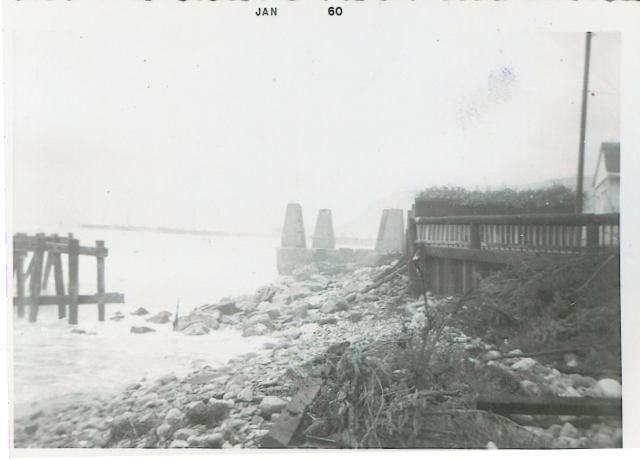 Stanley's was situated between two creeks that emptied sediment onto a system of cobble stones and oil pier remnants. The resulting sand bars produced excellent summer time surf. Protected by an extensive offshore kelp bed, afternoon wind swells coming down the Santa Barbara Channel were groomed into perfect peaks that spun into walls of glass. Chapters could be written about the antics that occurred in the Oil Company owned parking lot. 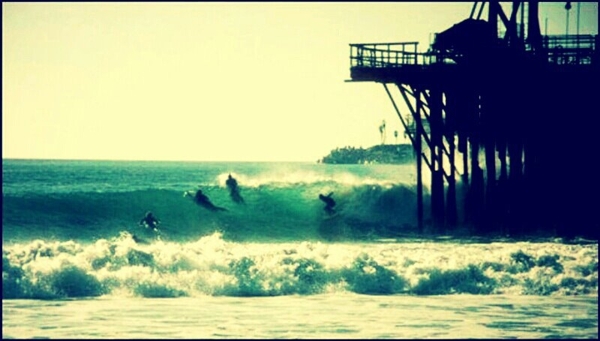 On any summer afternoon you could find yourself having fun alongside many of the great surfers of the era. 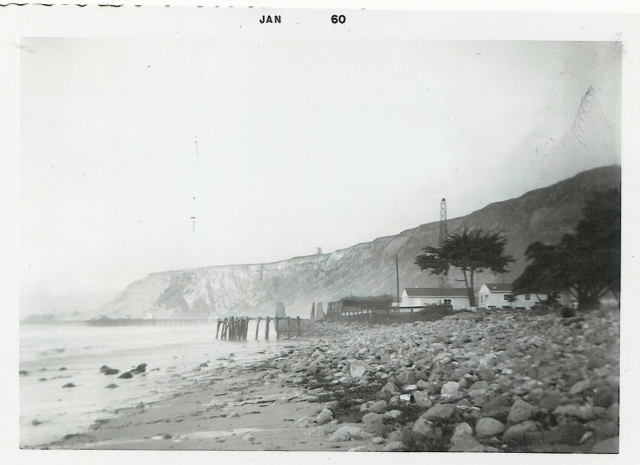 Old PCH Hwy 1 was a narrow dangerous stretch between Ventura and La Conchita. There was plenty of room to build the new freeway unfortunately oilfields caused caltrans engineers to swing the freeway over the beach. 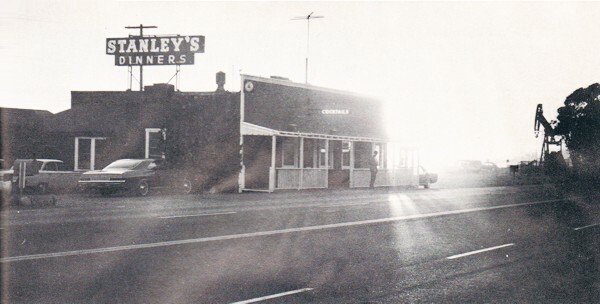 Stanley's was demolished in 1971 making way for the Seacliff 101 freeway off ramp. 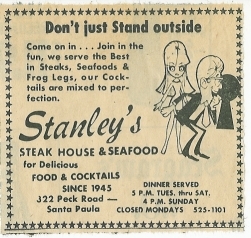 Ad from the Ventura Star Free Press in Oct 1977 (Great month of surf) featuring the relocated Stanley's Dinners, renamed Stanley's Steak House and Seafood. Shaper Stan Fujii remembers eating at the Santa Paula location with his folks as a kid. Thanks to Ron Dorn for the newspaper featuring ad. Our friend Lori Schouten lived at the firehouse with her family just north of Stanley's in the 60's and 70's. At any given time her back yard was full of surfboards left by injured or otherwise inconvienced surfers. Laurie was more interested in fast cars than surfing. One night returning from Ventura to the firehouse She hit a tree, totaling her MG sportscar. Here's views looking north from Stanley's into Hoffman campground and the back of the firehouse (which is still there today, minus the ocean view of course). Oilpiers is off in the distance. Check out the pier remnants at the high tide line. 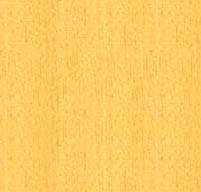 The "Hoffman" peak. 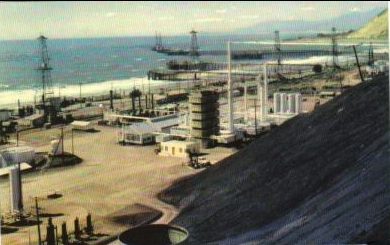 Piers were side by side from La Conchita to Ventura in the booming 20's. 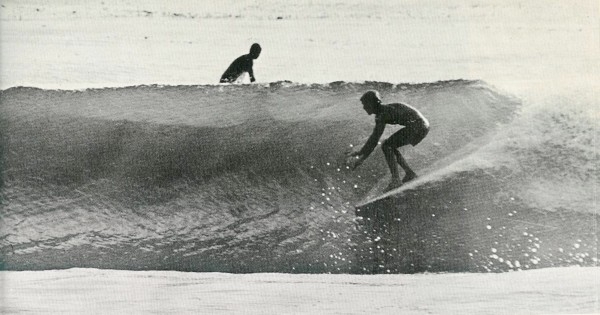 Published on Sep 27, 2012 Yvon Chouinard talks about surfing the now-extinct wave, Stanley's, in Ventura County. In 1970 the 101 freeway destroyed the break. Featuring footage of Jamie Budge surfing Stanley's in 1965. Obviously some people do not remember the day Hwy 1 was the Only route up the beach from VTA to SB. Rain soaked foothills bleeding down their golden wonders, filling the local beaches with sand from the Los Padres range we all love. I can remember once in 62 when my Dad and I were on the 1 going to a rig up on the ole' CWOD lease. Rain was pouring down so hard we lost traction spinning around a 360 as the tubes hit the beach by Stanley's. God those were the days! Although I don't remember how good the food was, Stanley's was a daily routine for breakfast with my dad before I started school. Grandma would take us camping at overhead, and then for a week south of Stanley's. Emma Wood was my favorite south of the piers for summer. I caught my first shark off the beach at Stanley's, a baby tiger with clams from the sand. As a native Venturan growing up on this golden shore, my memories are the best. This beautiful spot on the earth will never be the same as she withers away to the pressures of the foreign cancer covering her shores. How lucky I was to be born in such a beautiful place. East winds in the winter, glassy summer days along with the usual coastal fog. My islands always teasing me to the west whispering "come visit me"! It's not only sad to know Stanley's is gone, but my gold coast is fading fast. I know that on my last day on this earth my memorys, feelings and thoughts will be of this place I know so well... My home.